Volunteering with the York County Rail Trail Authority is a great way to make friends with those who share your passion and interest in rail trails. 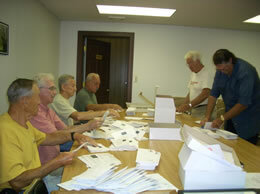 Volunteers work hard, have fun, and above all are essential to the success of our rail trail projects. Serving on a committee is a great way to offer specific expertise and sound guidance to the Authority. 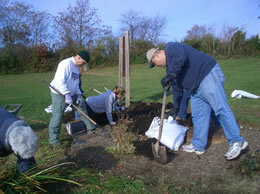 In addition to Volunteering, you can also become an advocate for trails and consider donating to the YCRTA. If you have previous experience in event planning and enjoy introducing families, especially with young children, to the Heritage Rail Trail, this volunteer position is just for you! IMAGINE over 250 lighted, hand-carved pumpkins lining a ¼-mile stretch of the Heritage Rail Trail and over 2,000 people walking and sharing a very special fall event! In 2015, a very dedicated group of twelve volunteers organized the 1st Annual Pumpkin Walk on the Seven Valley’s section of the Heritage Rail Trail County Park. The event, held on October 17, was a HUGH success. Committee members, York County Parks, Friends of the Heritage Rail Trail, local businesses, Seven Valleys Borough Council and Fire Company have pledged support for the 2nd Annual Pumpkin Walk, planned for October 15, 2016 from 6-9 PM. We are seeking an experienced event planner to serve as volunteer coordinator for this family event. Planning is scheduled to begin in May. To join the fun, contact the Authority at (717) 428-0999 or Submit Interest Form. 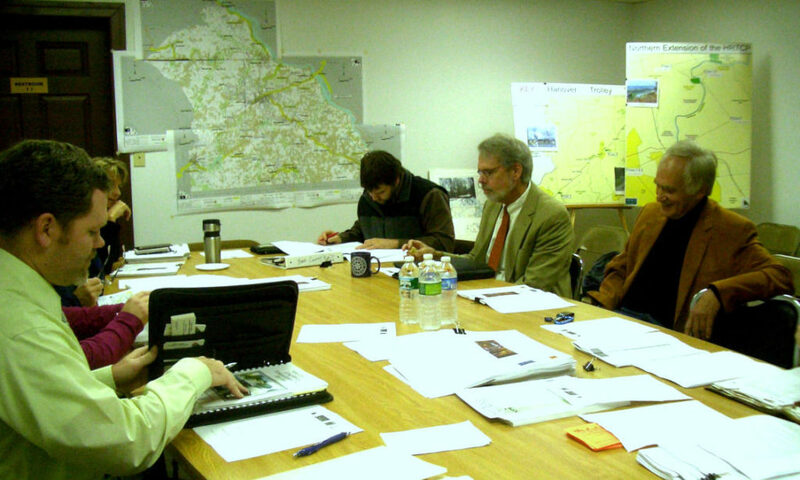 The planning committee meets once a month, except in July and August, to review the projects of the York County Rail Trail Authority, to guide both long-range projects and strategic organizational planning, and to make recommendations to be presented to the Authority. Meetings are held from 8-9 AM at the Rail Trail Authority’s office in Seven Valleys on the Friday prior to the monthly business meetings. Meeting dates are posted on the Authority’s website under Events as part of the yearly meeting calendar. Service on the planning committee is a great way to positively impact the current projects of the Rail Trail Authority and the development of future rail trail projects. Service on the planning committee also offers a great introduction to the Authority and its projects, which may lead to an appointment to the Authority. Contact the Authority at (717) 428-0999 or Submit Interest Form. If you have a particular interest in promoting future development of the Hanover Trolley Trail, please consider joining this committee. The Hanover Trolley Trail operating committee advises the Authority on management, maintenance, and operations of the completed sections of the Hanover Trolley Trail and makes recommendations to the Authority related to current operations and future development. Members typically represent the municipalities or civic organizations along the historic corridor and are key to promoting communications between the Authority and their representative entity. The committee meets quarterly from 8-9 AM on Friday mornings at the Rail Trail Authority’s office in Seven Valleys. Meeting dates are posted on the Authority’s website under Events as part of the yearly meeting calendar. If you enjoy meeting the public and talking about the many benefits of rail trails, consider volunteering to staff one of our information booths at a local festival: Hanover Dutch Day (July), Shanks Mare Art & Outdoor Fest (August), and New Freedom Fest (September). We are always looking for volunteers willing to staff the tables for two hour shifts. 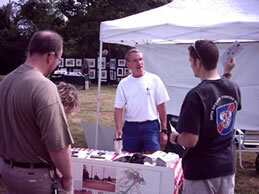 Additional festivals are considered each year, depending on availability of volunteers. Internships are available for college students majoring in related fields such as geography, parks & recreation, landscape architecture, public relations and marketing. Students are offered a variety of experiences related to trail development as well as skills to prepare them for the workplace. Contact the Authority for more details.